St. George Parish in Bridgeville is working toward building a new Church and Community Center at 3230 Washington Pike in South Fayette Township, PA, less than two miles from our present location. The land upon which the church complex will be located is adjacent to the St. George Cemetery. 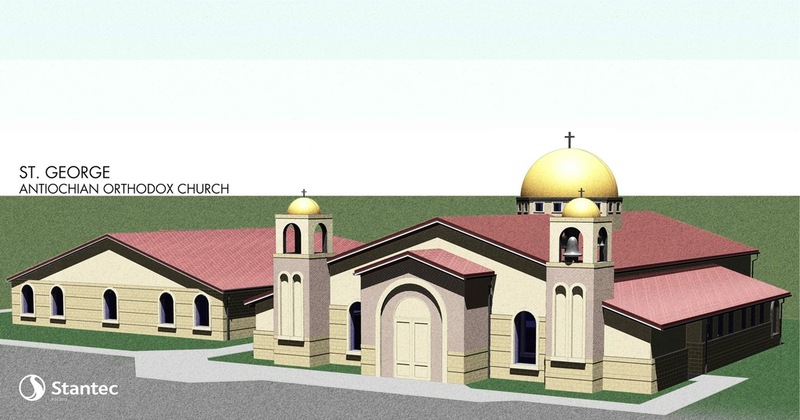 The new church building complex will consist of a new church structure built according to the canonical tradition of the Orthodox/Byzantine architecture, a large hall and updated kitchen facilities, as well as offices and classrooms. The goal of this work, which is being undertaken by the parishioners of St. George Church and all the benefactors for this endeavor, is to spread the Gospel of Our Lord Jesus Christ, for the edification of His Holy Orthodox Church, and to be a light and beacon of the message of God's salvation to all. Please continue to pray for this Holy endeavor which we have embarked upon to the Glory of God the Father. One of our most exciting events for our community was the Ground Breaking Celebration Weekend which was held during the weekend of June 4-6, 2010. We were honored to have Metropolitan PHILIP of blessed memory, and Bishop THOMAS preside over this once-in-a-lifetime event. In 2014 we had the largest Building Fund fundraiser to date, the annual Mediterranean Food Festival. A special "thank you" to our parishioners, patrons, friends and business sponsors for the tremendous support! 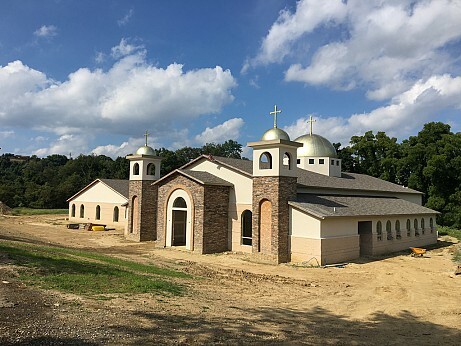 We were so excited to learn on October 17th, 2014, the very first day of our 2014 Mediterranean Food Festival, that the official Building Permit from South Fayette Township was approved and construction could begin on the new church and hall! Continue to check back to the Construction Status page for updates as progress is made on the new building. 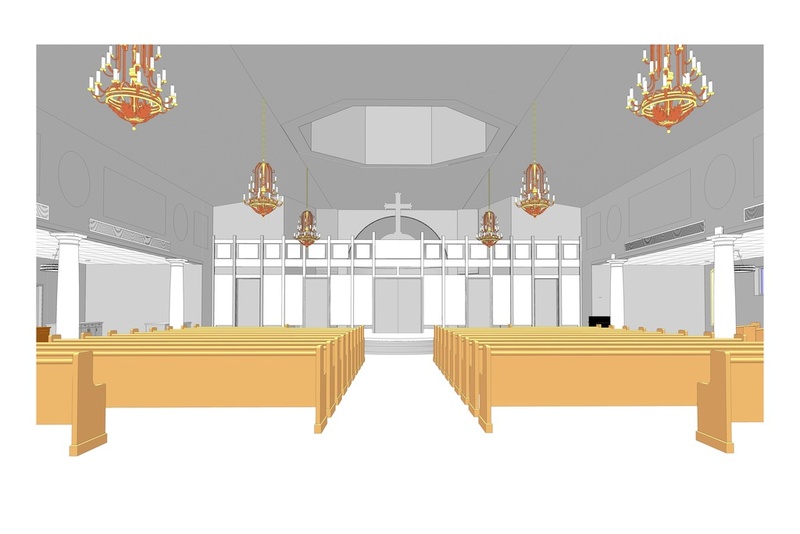 Please make checks payable to St. George Church, earmarked for the Building Fund. Thank you and may God continue to bless and keep you in His care. The following slideshow includes pictures of the bell that will be used in our new church - hand-crafted in Russia just for St. George of Bridgeville.